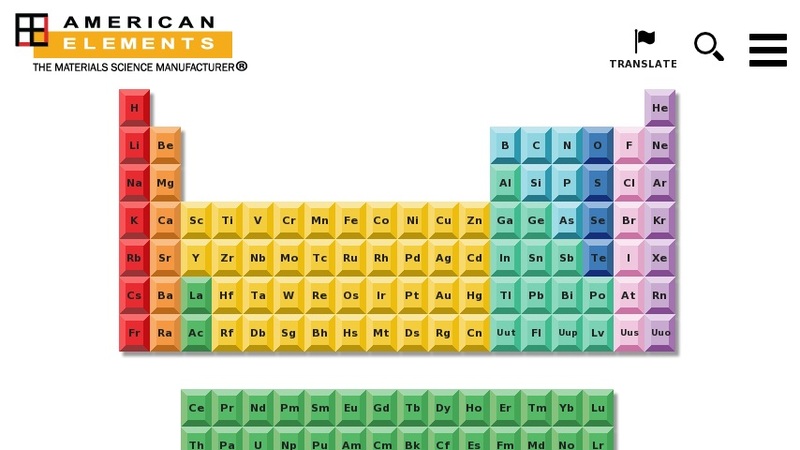 This company's web site features an interactive periodic chart that provides information on the elements, including a description, physical and thermal properties, abundance, isotopes, ionization energy, the element's discoverer, translations of element names into several languages, and bibliographic information on research-and-development publications involving the element. Additional information includes technical information and information on manufactured products for elemental metals, metallic compounds, and ceramic and crystalline products. The American Elements company manufactures engineered and advanced material products.